Does your office environment need an instant energy jolt and creativity boost? You just may be amazed at what music can do to shake things up and motivate your team members!! 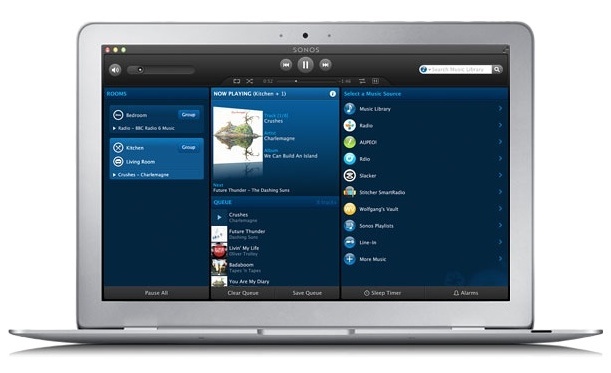 In order to reveal music's power in the workplace, we at Digital Smart Homes are giving away a Sonos Play:3 and installation each month through June 2012. If you are in the Vancouver and Lower Mainland, BC, we welcome you to join in the fun! 2. Submit a picture of your office on either Facebook, Twitter or Pinterest and a brief comment on why you should win. The more creative your entry the better, and if you submit on Facebook, Twitter and Pinterest your office will be entered twice for a chance to win! According to a recent University of Illinois research study of 256 office workers, music did wonders for frayed nerves, reduced distracting office chatter, boosted morale, and even enhanced office performance. Plus, it was revealed that employees were often more satisfied with their employers and were less likely to switch jobs. A number of leading organizations have discovered the positive effects that music has on morale. For example, the popular online magazine Cool Hunting keeps it fresh by cranking music through their offices daily. The team keeps a hard drive filled with numerous genres of music for everyone to enjoy and gain inspiration. And if this isn't enough maybe the goods will impress your soul! The Sonos Play: 3 is a wireless music system that emits crystal clear sound and allows for you to control it via an iPhone, iPad, Android, or Sonos controller. 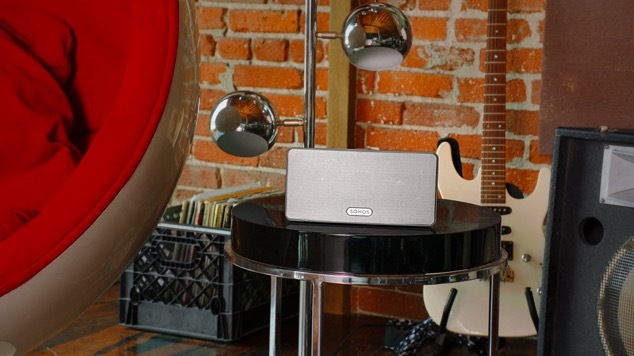 Additionally, the system has the ability to play music that captures a desired mood, connects wirelessly to the office router and can be tucked away in the corner of your choice. Visit our Facebook, Twitter, or Pinterest page now to enter the Digital Smart Homes Sonos Play: 3 contest. If you win, we will personally deliver and install the system for you and your co-workers to enjoy! Next week, Sonos will introduce brand new Sonos Controller apps for Mac and PC. Plus, improved wireless performance for Android devices and language support for Brazilian Portuguese. And, it will all be available with a simple one-click software update. Rdio is subscription-based online music service that allows for you to pay a small fee of just $4.99 per month and you are able to listen to unlimited amounts of music from any computer. If you are familiar with Spotify, it is quite similar. Back when Spotify wasn’t available in the United States (and soon to be available in Canada), Rdio held the exclusive on such a service. Beyond being able to call up almost any artist, album, or song in less than a second, users are able to share music from friends, get music suggestions, and even write mini-reviews. This makes the utilization of your Sonos system quite dynamic. For those who want to listen to music on their mobile devices and computers while offline or want to listen to music on demand, much like Netflix, members pay $9.99/month and have access to more than 8.5 million songs. Getting started with Rdio is quite easy and completely free for the first week. This allows for you to give it a try before diving into the paid subscription. Aupeo is a completely free personalized online music service that you personalize by selecting the “Mood” (Happy, Energetic, Stressful, Relaxing, etc) and the “Genre” (HipHop, Country, World, Electronic, etc) .. The service is a competitor to Pandora, last.fm, and Spotify. As a user, you are allowed to stream more than 120 stations across all music genres, while provided the ability to pause or skip songs at any time. The free version has occasional commercials that play throughout your listening session and has a limit as to how many songs can be skipped at a time per station. In order to better customize music selections, you are able to designate the songs you like versus the ones you dislike. In the case that you want to enjoy commercial free listening and have full control of how many songs are skipped, the premium service is available for €4.95 EUR/month or €49,95 EUR/ year. Slacker is quite similar to Aupeo, allowing for users to listen to customized music stations. To select a genre that is most appealing at any given time, you must designate a particular artist or song as a reference point. Music then begins to stream within that given genre and allows for users to pause and skip songs. The free version allows for only a limited number of skips and includes commercials. If you desire the ability to listen to music without commercials, there is a monthly fee of either $3.99 or $9.99. The $3.99 version also allows for mobile station caching, enables ABC News, and includes complete song lyrics. On the other hand, the $9.99 version adds the ability for you to play song and albums on demand, play single artist stations, cash albums and playlists, and create personalized playlists. This makes Slacker quite similar in functionality to Rdio. No matter which way you stack it, you can create a music listening experience of your dreams. The secret to discovering which online music services work best for you is to give them all a try!